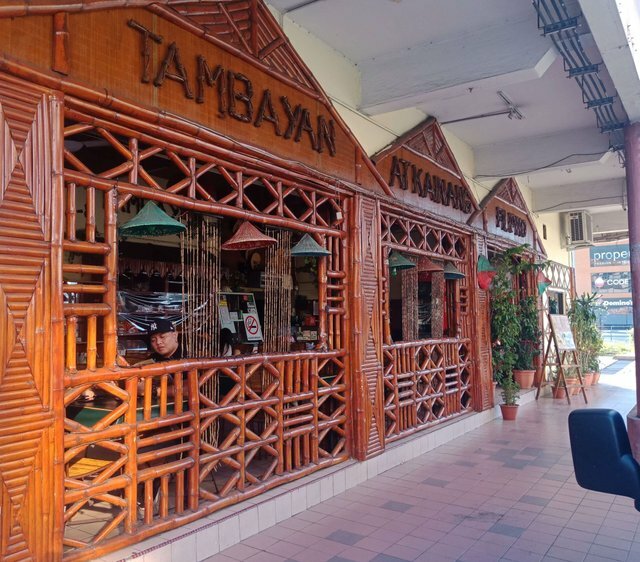 Last week my aunty brought me to this place called Tambayan. 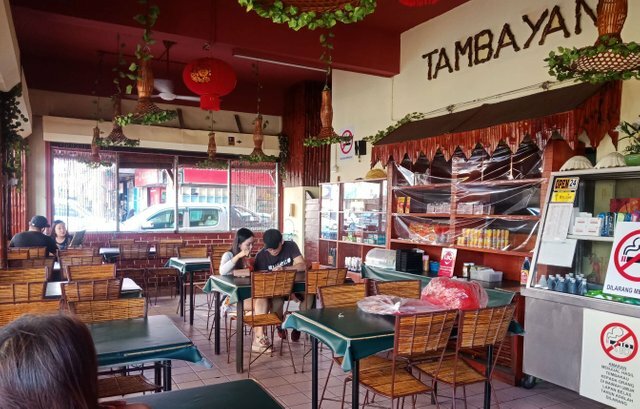 It's a restaurant located at Beverly Hills, Kota Kinabalu, about 15 minutes ride from the main city area. The restaurant is famous for its unique Philipino's cuisine. The restaurant look nice from outside. Inside it's nicely decorated with tables and chairs arranged neatly. 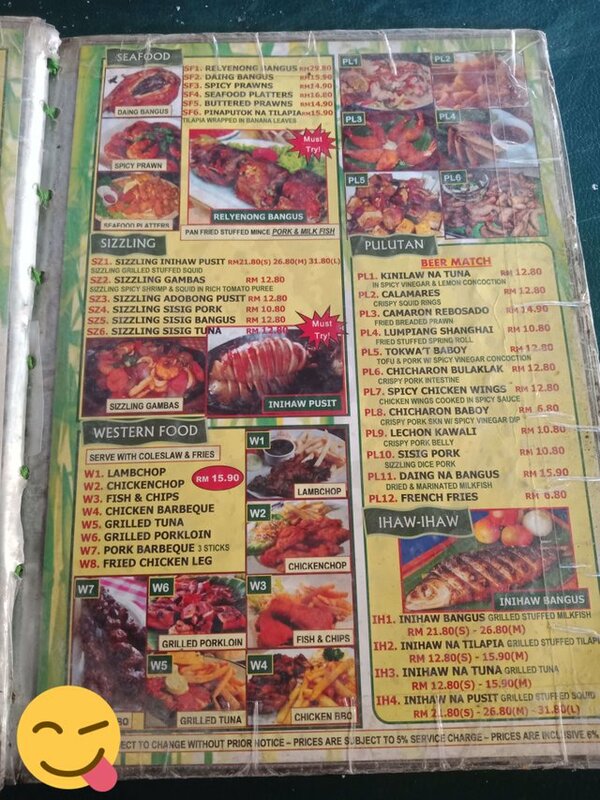 Here are the menu available. There were so many varieties of dishes to choose! 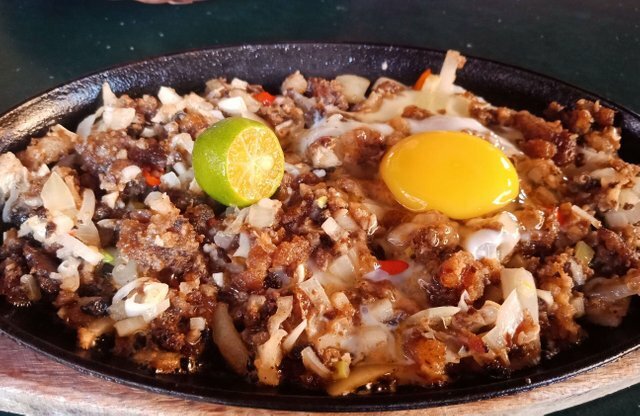 My aunty ordered this delicious dish called Sisig. It's a sizzling dice pork. 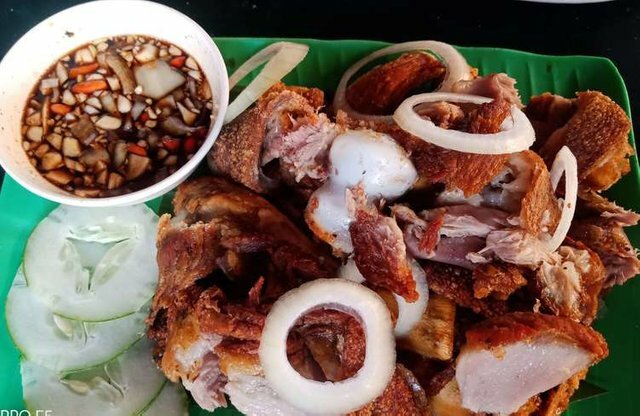 The dish is a combination of pork and chicken, seasoned with calamansi, onions and chili peppers. We also have this delicious Crispy Pata which is a deep fried pig trotters or knuckles served with a soy-vinegar dip. This is a popular delicacy and 'House Special' in the restaurant. For dessert,we had this Leche Fan. 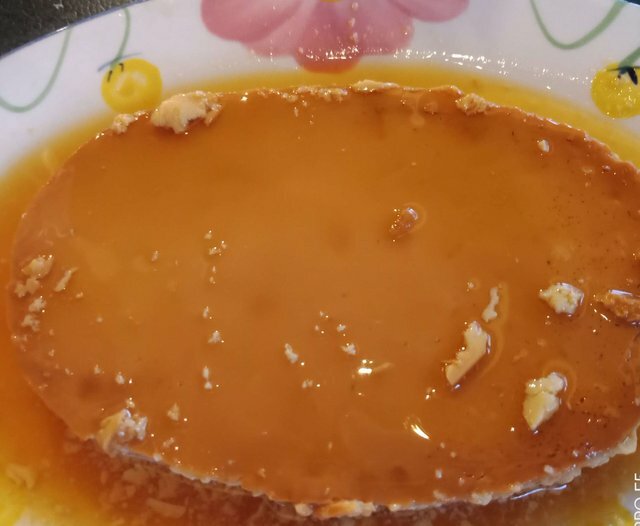 It's a custard dessert with a layer of clear caramel sauce. Really yummy to those who love sweet dessert. I really enjoyed our meal here. The staff was friendly and attentive. The place was clean and food was delicious. A very nice review. The place looks very interesting, something different in the way of atmosphere. I'm not familiar with any of the foods, but that house specialty did look really good. And I'm always up to try a new dessert. Another reason to go to KK! thank you for your review! That sisig is really delicious. 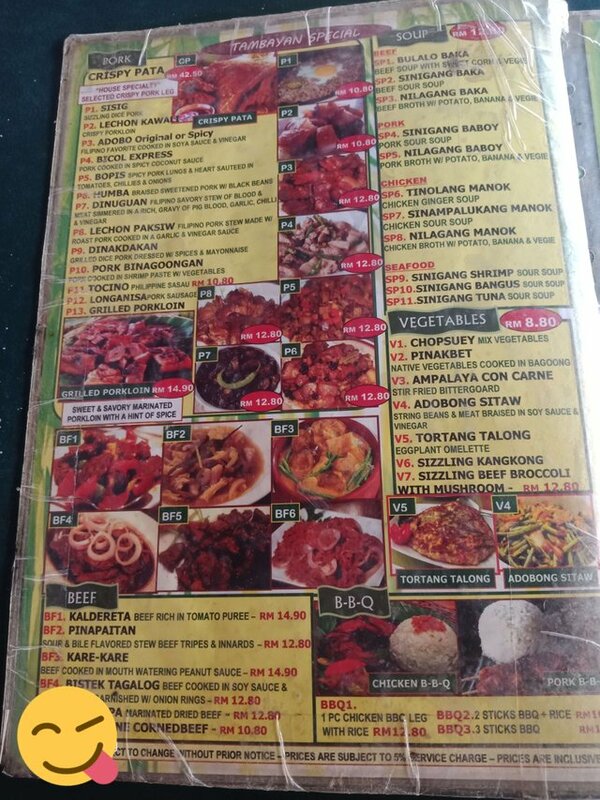 I cant wait for another visit to that restaurant.